Freedom Rockz: Free Cool Math Games! Awesome! 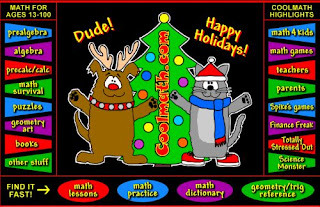 Free Cool Math Games! Awesome! This is a great game site that comes from my 8 year old son! Thanks Aaron! He says they play this at school in computer lab! So I can truly say it is Teacher recommended.